Hubby and I have not long been back from 7 blissful nights in Cyprus. 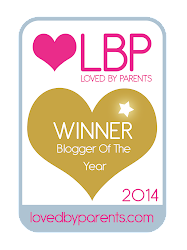 We weren't intending on going abroad on holiday this year, and certainly had no intention of an adult only getaway- until I was lucky enough to win the Loved By Parents' 'Blogger of the Year 2014' award. The prize was a seven night stay for two adults at the 4* Le Meridien resort in Limassol, Cyprus, and £500 towards flights. What an amazing prize, one we certainly couldn't turn down! I was genuinely petrified about leaving Bert for a week - the thought of being so far away from him made me feel sick. Then I gave myself a break, and a stiff talking to!! I reminded myself that he would be with people who love him just as much as I do (his two sets of Grandparents and his lovely Auntie, my twin sister), that he is only one and will have no recollection of our leaving for a week, so actually, it's probably a really good time to leave him. I also knew how much Liam and I needed the break. Being parents is so tiring and draining, once you've put on your 'mum' and 'dad' hats you kind of forget to be just 'Lucy' and 'Liam' or 'husband' and 'wife' - children are all consuming, and wonderful - but sometimes we need to give ourselves a break. And that is exactly what this holiday provided. We relished the adult only time - I read FOUR WHOLE BOOKS from cover to cover - I hadn't managed even one book in a year since Bert had arrived, so to read four in a week was just blissful. We ate every single meal in peace, without disturbances, without having to share, or entertain or bargain/bribe. That was pretty cool. We went to the toilet and showered in peace and quiet, and didn't have to rush. We got SO MUCH SLEEP. The adult only pool was amazing! Of course, I missed Bert like crazy. What really amazed me about being away from him was how the rose tinted glasses come on as soon as you're apart and all you can remember is how wonderful they are, how much you miss their cuddles, cheeky face, giggle etc… . You forget all the frustrations, bad smells, tantrums etc. Your child is basically an angel that does no wrong as soon as you are separated from them! Haha! I cried a couple of times when I was finding it particularly hard to be away from him, but the joys of modern technology meant I was getting regularly updated with photos of him, and had little daily FaceTime chats with him to put me at ease. What the break did for me is made me realise how important my role as 'Mum' is to me, how much I love my new 'job for life', and how Bert is genuinely the most important thing in my world. Sometimes it is easy to forget that when days roll by and you are busy/stressed/tired/covered in poo-sick-bogies (delete as appropriate!). 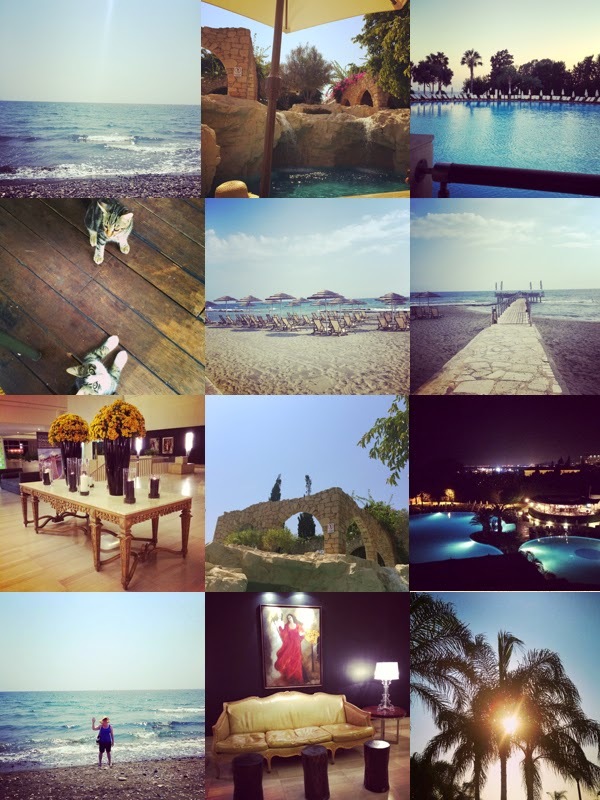 The fact that the holiday was in Cyprus was very special to us, as Cyprus is where we had our honeymoon two years ago. Although we had a beautiful honeymoon, and stayed in an amazing 5* resort, it ended very badly: I miscarried our first baby on the last day. It was the most awful experience of my life, and not the end to our honeymoon I had hoped for. 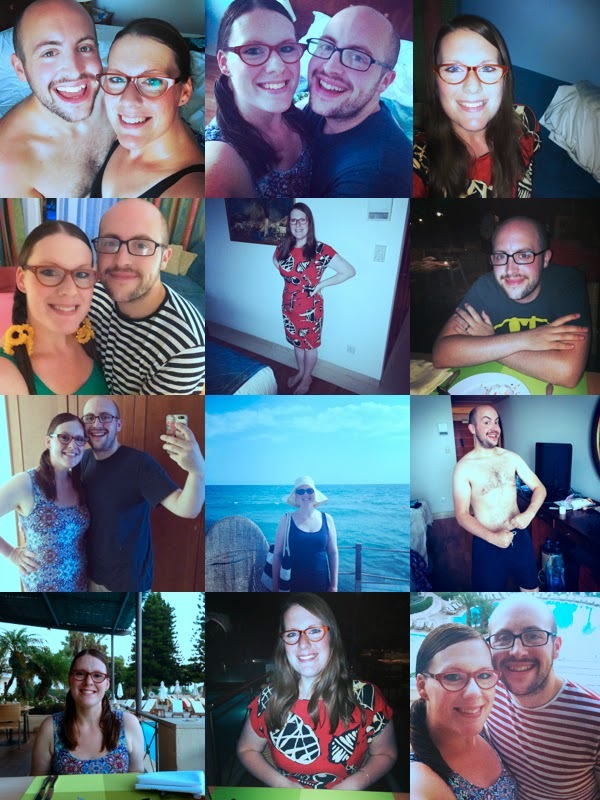 We saw this holiday to Cyprus as our second chance at a honeymoon, a chance to have some closure of that horrible time, and a chance to have a romantic break and remember how lucky we are to have wonderful Bert, and how far we've come in just two years of marriage. 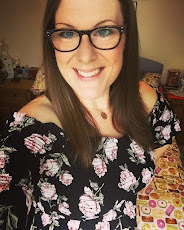 I wanted to say a huge THANK YOU to all of my wonderful blog readers - to whoever nominated me for the award in the first place, and to every single one of you who voted for me. It means so much to have the recognition of the 'Blogger of the Year' award, and the prize was truly amazing and just what we needed - thank you from the bottom of our hearts. 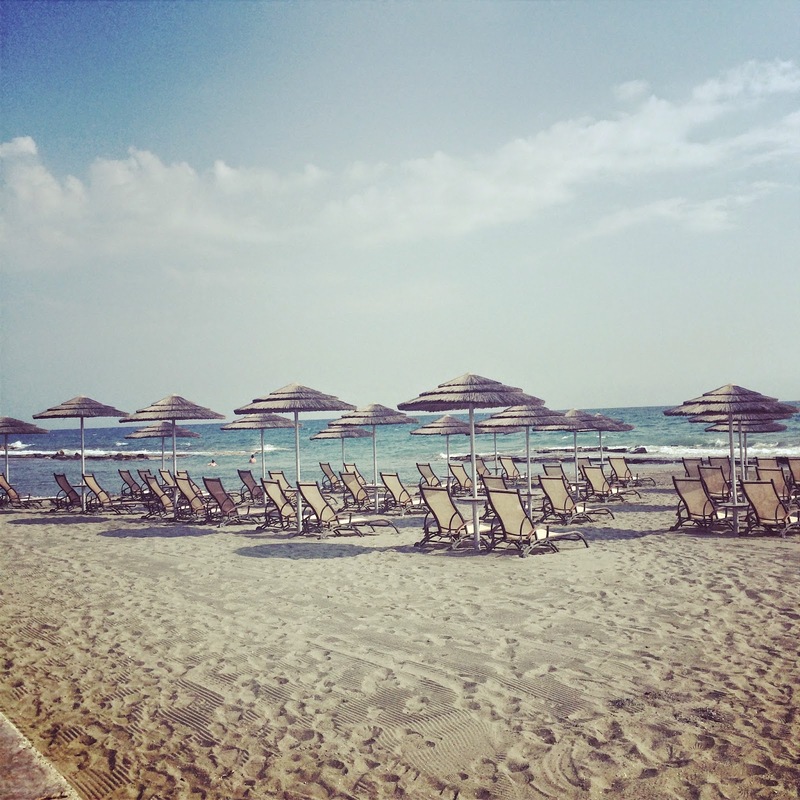 Our resort - Le Meridien, Limassol, Cyprus. Le Meridien was a beautiful resort, with gorgeous sandy beaches and three stunning pools to choose from. The weather was pretty much 32 degrees the whole week, and we spent most days lounging by the adults only pool with our kindles - taking a dip in the pool to cool off, and then heading back to our room by late afternoon for showers before dinner. Lots of selfies taken! Had to be done. The red dress was my mum's dress in the 90's…I found it in her wardrobe and fell in love with it - and it fitted me so well. It was nice to wear something really different that I knew no one else would be wearing, and wearing something I felt good in helped to build up my low body confidence a little. 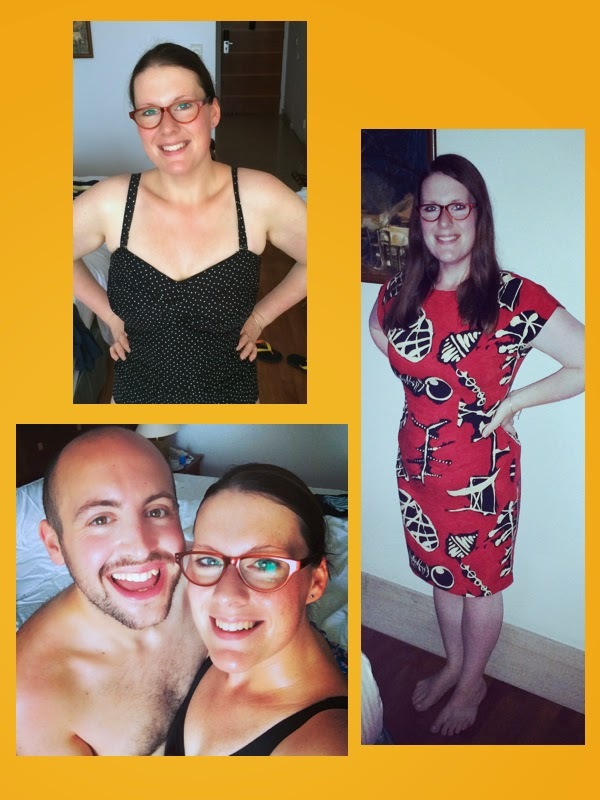 I was worried about how I'd feel going on a beach holiday when I haven't reached my final weight loss goal yet. I'm notoriously very hard on myself, and still haven't adjusted in my mind to not being 'plus size' or classed as 'obese' anymore. I still feel really big, and I guess it will take a while for my mind to catch up with my body. I'm hoping that once I reach the weight goal I originally set myself (12lbs to go) I will be a bit kinder on myself, until then, I just have to keep reminding myself how far I've come. I have come to terms with the fact that I'll probably never be brave enough to wear a bikini, but I wore my one piece, and had my arms out on show every day (I never wear short sleeves, my arms are my biggest bug bare, and I always cover them up)…but I embraced the warm weather clothing, and enjoyed myself - nothing bad happened because I bared some flesh! Lesson learned. 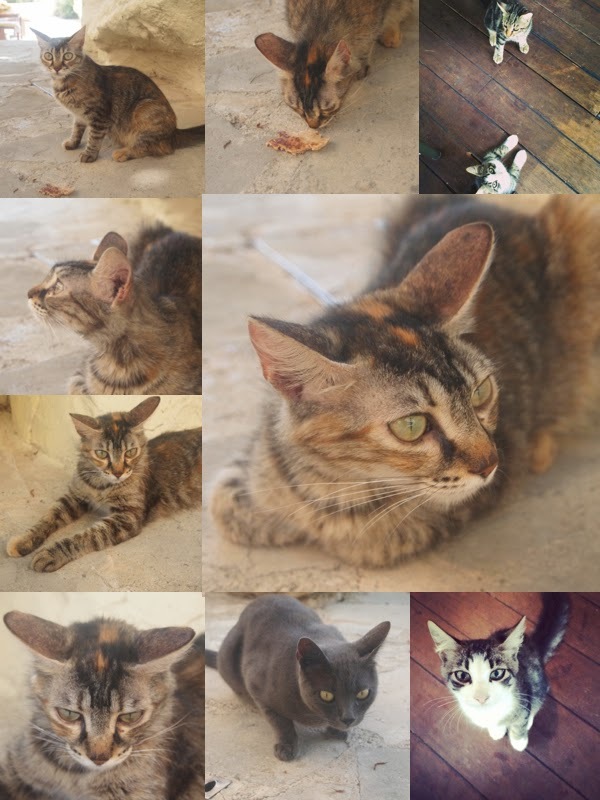 Cyprus is full of beautiful cats. We are both cat lovers, and so we loved having these cheeky chappies around. Some of them were so beautiful, I couldn't resist photographing them! Oh. My. Word. THE FOOD. It was genuinely insane. 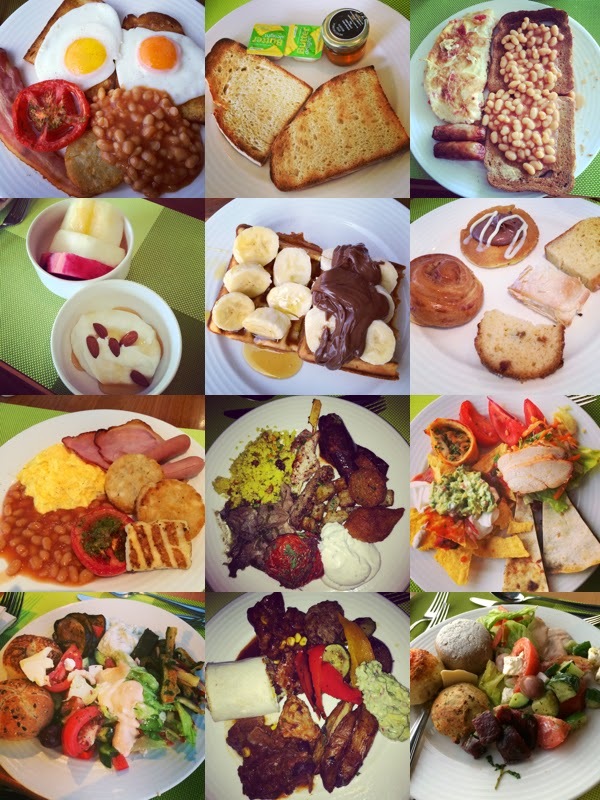 We ate every morning and evening in Le Fleuri (the resort's buffet restaurant), and it was incredible! They served an abundance of the freshest, tastiest food you could ask for. We ate a LOT. I put on 5 lbs since my weigh in 2 weeks ago just before Bert's first birthday! Haha! It was worth every calorie! Each night the buffet was themed so we ate such a huge variety of foods from traditional Cypriot food, Seafood, Italian, Middle Eastern food, Tex Mex, International buffet and Asian - genuinely a little bit of everything! Every night the food was fantastic - it was the best holiday buffet I've ever been too - hubby agreed too! 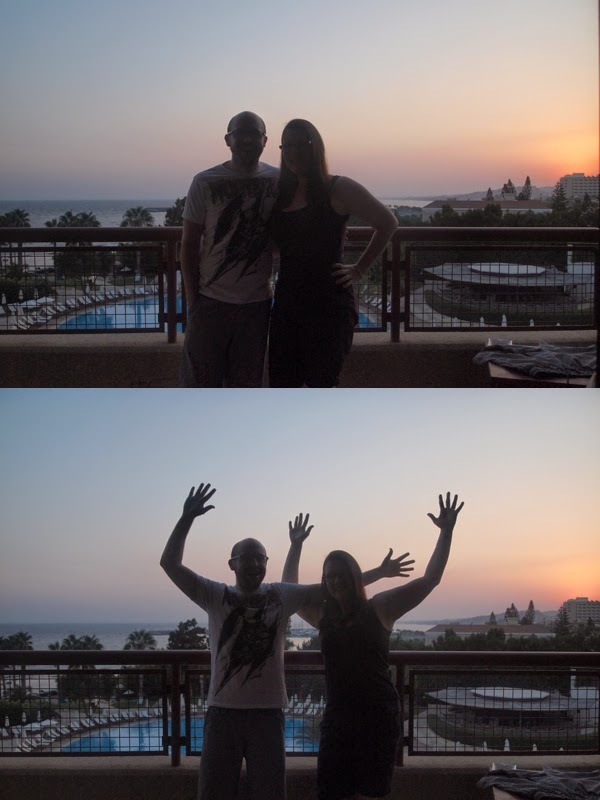 Silly sillhouettes at sunset on the balcony! Thank you from the two of us for providing us with just what we needed: time together, a chance for some quality R&R, a romantic break, plenty of sunshine, lots of lovely food, and memories to cherish forever. 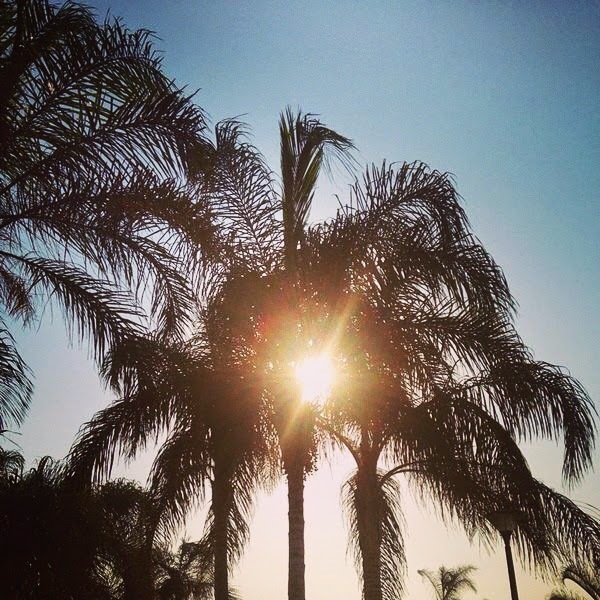 I'm dreaming of lying back on that beach, looking at the sun through the palm trees…absolute heaven….! Sorry to hear about your first honeymoon, but it looks like you had an amazing time this time. Hey there!! 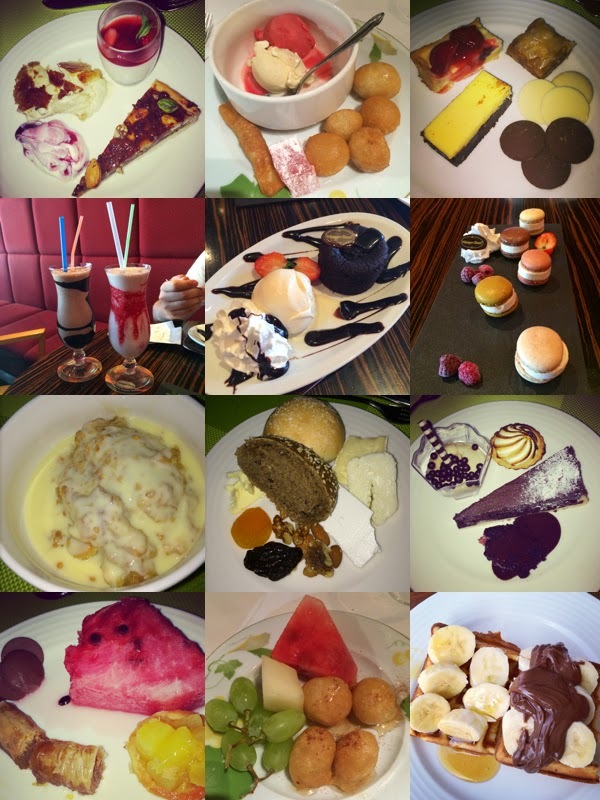 Just found your blog through Dannii!! GREAT day to see it too--the pictures are AMAZING!!! It think it's awesome you read FOUR whole books, that's so great! !